The great thing about dessert balls are how impressive and elegant they appear while being one of the simplest recipes you can make. In this recipe, you’ll combine a handful (literally) of ingredients for a quick dessert dish that’s perfect for an after-meal treat. These no-bake balls can be prepared as far in advance as you’d like – pop them in your freezer as you sit down for a meal, and they’ll be ready to enjoy as your guests are finishing their plates. These kid-friendly treats are super versatile – since no baking is required, you can size these up or down to your liking or add other ingredients to vary up the flavor a bit. Chopped hazelnuts can be found in the baking section of most grocery stores – just look for the bags of chopped and sliced nuts. Whole hazelnuts can be a bit of a challenge to find – you can grab these online in advance or use a different center for these balls if needed. 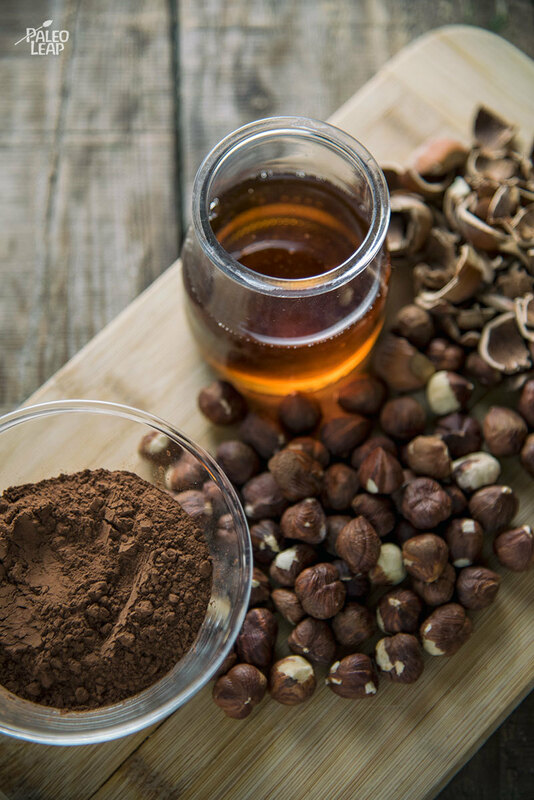 Keep in mind that while these are tasty, hazelnuts are also a source of antinutrients. Consider the soaking method to remove some of these from your hazelnuts prior to making this recipe. For this recipe, you can easily scale your ingredients up or down based on what you’re serving them for. 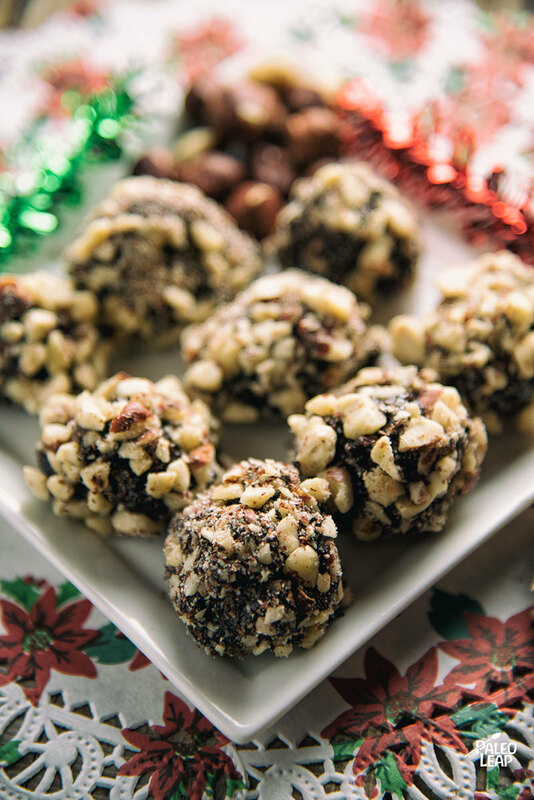 If you are making a bunch of these for an event, just leave the balls on parchment paper per the below recipe – then, you can transfer them to a storage container (just keep them frozen!) If these are for a more intimate gathering, try serving with a warm drink like the Coconut Milk Hot Chocolate to create a nice temperature balance. Pulse 1/2 cup of the chopped hazelnut in a food processor until you get a smooth powder. Add the maple syrup, cocoa powder, and vanilla extract. Pulse again until you get a smooth, sticky texture. Roll each 10 whole hazelnuts with the chocolate-hazelnut mixture; dip in the remaining chopped hazelnuts. Place in a freezer 15 to 20 min; remove 4 to 5 minutes before eating.